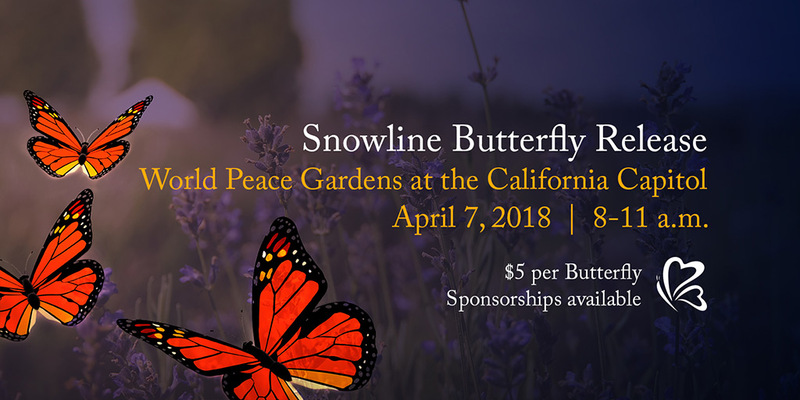 Snowline Hospice’s First Annual Butterfly Release honors lost loved ones through a beautiful symbol of hope and remembrance. Join us at the Capitol World Peace Rose Garden in Downtown Sacramento for the release of Painted Lady Butterflies and enjoy the talks of our guest speakers. To purchase a butterfly in your loved ones name, visit weblink.donorperfect.com/butterfly2018.